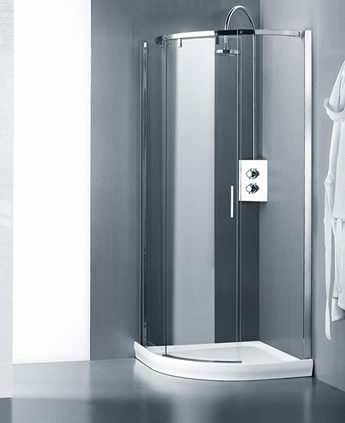 This solution is ideal for those who adore a corner shower enclosure yet who are looking for a touch of something extra special! 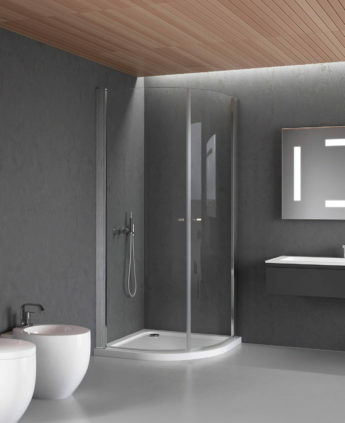 The curved or rounded shower trays make it possible to make the most of the space available and to visibly render the bathroom environment more “open”. 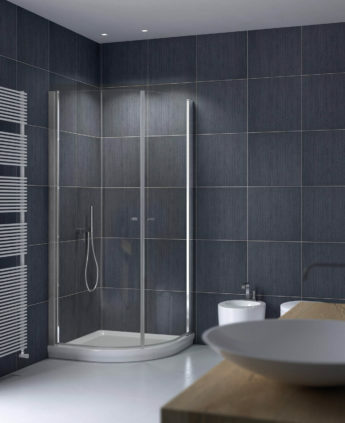 The Calibe shower enclosures suitable for installation with curved shower trays are available in either the traditional system or the Leak Free solution with sliding or hinged doors which are practical to use, pleasing to the eye and …easy to clean!